Didn't Cliff Lee wear #34 before Roy joined the team? Was he asked? Cliff was traded you may recall. Roy got #34 because no one had it (and it was his usual number). Lee came back and took #33. 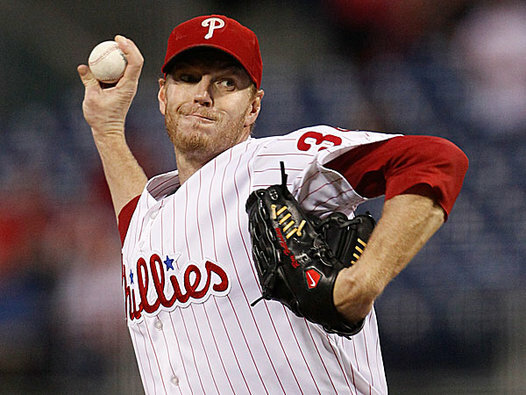 Actually, 34 was not Halladay's "usual number." He wore 32 in Toronto. The number 32 is retired in Philadelphia, of course.